Discussion in 'iPhone and iPad Games' started by Boardumb, Mar 10, 2015. 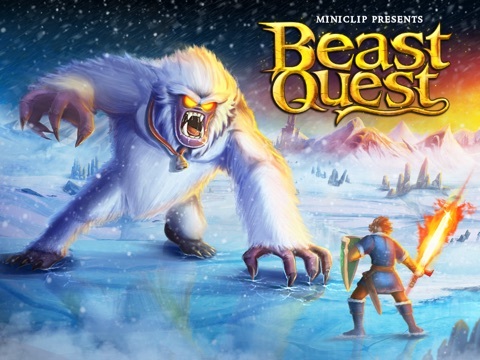 Only your skill and bravery can bring peace to the Kingdom of Avantia - its time to become a hero in BEAST QUEST!  An epic journey through the huge open world of Avantia! 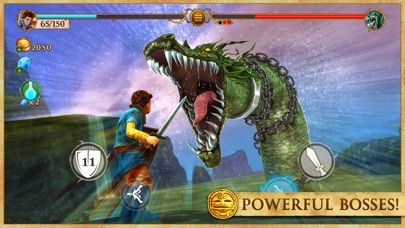  Epic battles against the mighty Beasts! 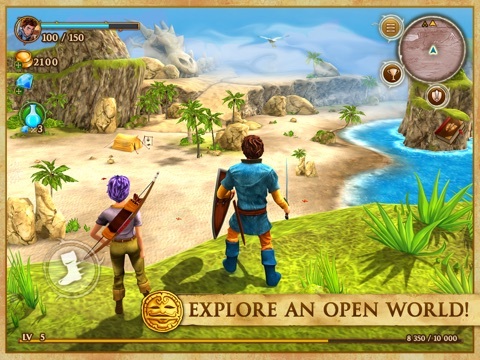  Collect lost treasures and powerful artifacts!  Level-up and upgrade your equipment!  Master an action-packed combat combo system! 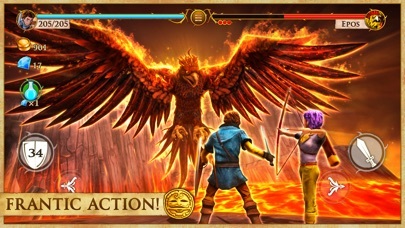  Hundreds of challenges, secrets and in-game achievements! 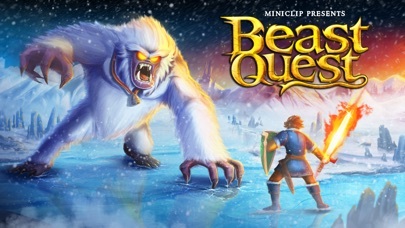  iCloud support: continue your Beast Quest across multiple iOS devices! I think I find the first bug: your gold just change however it want. One moment I had over 500 gold and the next I only had about 120, weird. Aside from that I recommend this to everyone. Think of it like an open world RPG (big map, with a lot of treasure chest to find if you dig around or just buy the IAP to highlight all chests on the map, but not much thing to do or NPC to interact) much like Exile + Infinity Blade combat style + IAPs. I am only about one hour in so I haven't encountered any paywall yet. We will see. 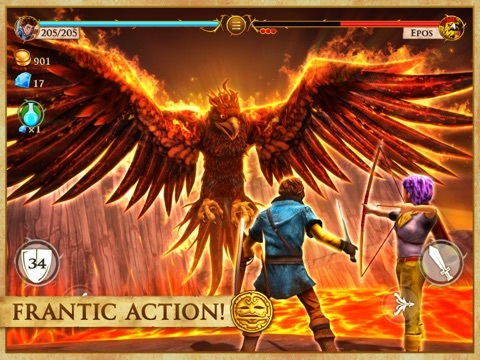 Looks interesting.... Monster hunter type of game without the crafting? What country it soft launched in please? Are there timers? Coz i wont bother if there is. For now i'll stick to Nightmare Guardians for a game with timers, but i know i'll be deleting it soon too. There is no timer at the moment, plus you can play it offline. I did give an impression just some post above. I know which is why i asked about timers which wasnt mentioned. Thanks. its available in the canadian app store. Not available in my Canadian App Store either. I wonder if it was pulled? the app store is having issues atm, so that is probably why. TL;DR: Pretty fun. 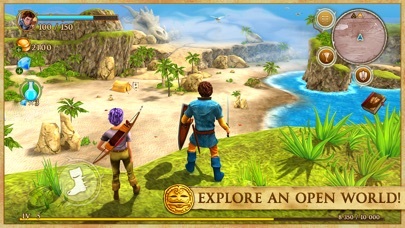 Open world exploration rewards to be found, combat similar to Infinity Blade and the IAP has core friendly unlocks. I'm been playing this (Canadian AppStore), and am about 30 mins in. 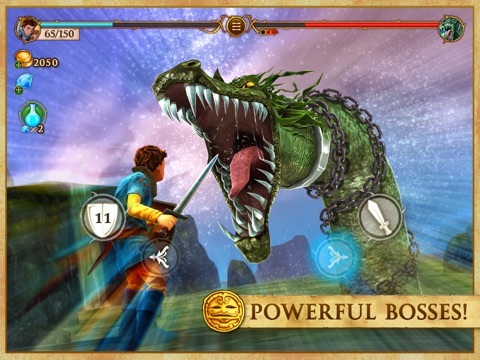 The main character looks a bit like Link, the world is open and has lots of discoverable rewards to keep you exploring, graphics are nice and combat encounters turn into something reminiscent of Infinity Blade. I do hope that the combat contains a greater diversity of attacks as you progress, the first enemies seem too simple in their attacks. I have a 3DS and was looking at Monster Hunter 4 but have been trying the iOS version of Monster Hunter to get a feel for it. Even with a MFi controller, Monster Hunter on my iPhone 6 Plus felt really complex and a bit overwhelming. This game feels so far like a better fit for the platform. The IAP has the usual gems and gold packs but also several core unlocks such as a loot drop increaser, reduction in death penalty gold and XP, a compass for quest items (I prefer stumbling around and exploring but it's nice to have the option) and of course a coin increaser. I'm now over an hour into it. Jumping in and out is pretty easy but I do seem to move a bit on the map when I close and reopen later. 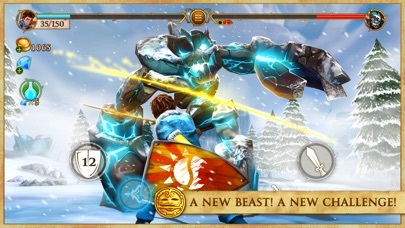 Combat certainly ramps up to more complex enemies and attacks. I'm now facing multiple enemies together which require a lot of attention and twitchy reflexes to dodge melee attacks. 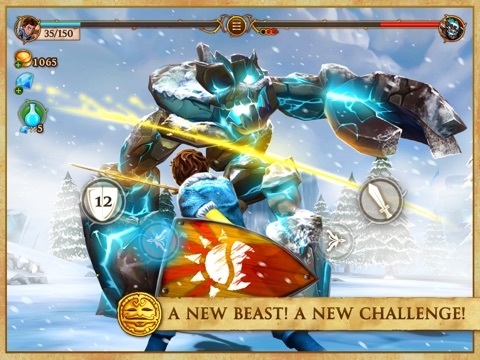 Other monsters attack from multiple angles, once again like Infinity Blade, but when they get knocked back after losing much of their health they start sending projectile attacks that require tapping to block the incoming attacks. It's really cool to see someone finally taking Infinity Blades excellent combat system for touchscreen and doing new and interesting things. I don't mind the cutscenes, swipe suggested counters and swiping gestures being so similar to Infinity Blade as they really do add a lot on top of it. Also, there are even more rewards appearing for exploring the open world. There are treasures hidden by the environment that you only see a subtle gesture ring when you get close. Offline play you say? Okay I'm sold. Downloading now.